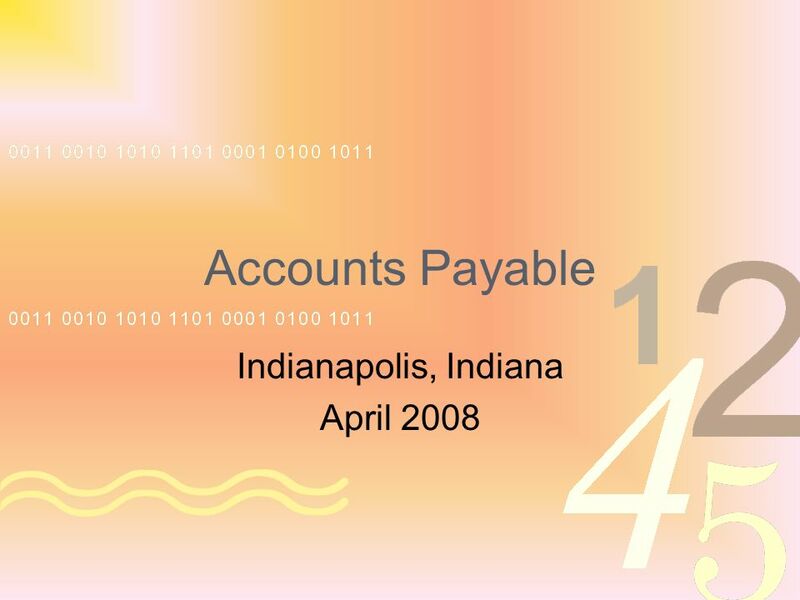 Accounts Payable Indianapolis, Indiana April 2008. 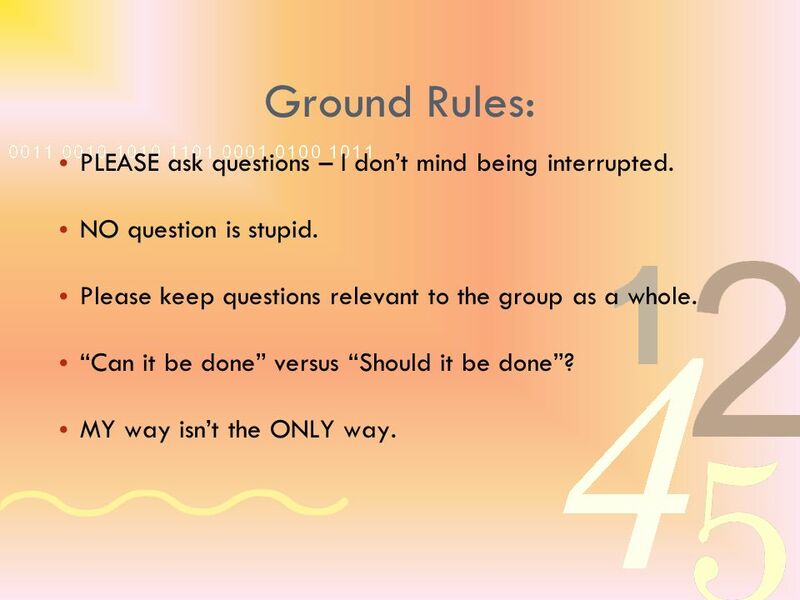 3 Ground Rules: PLEASE ask questions – I dont mind being interrupted. 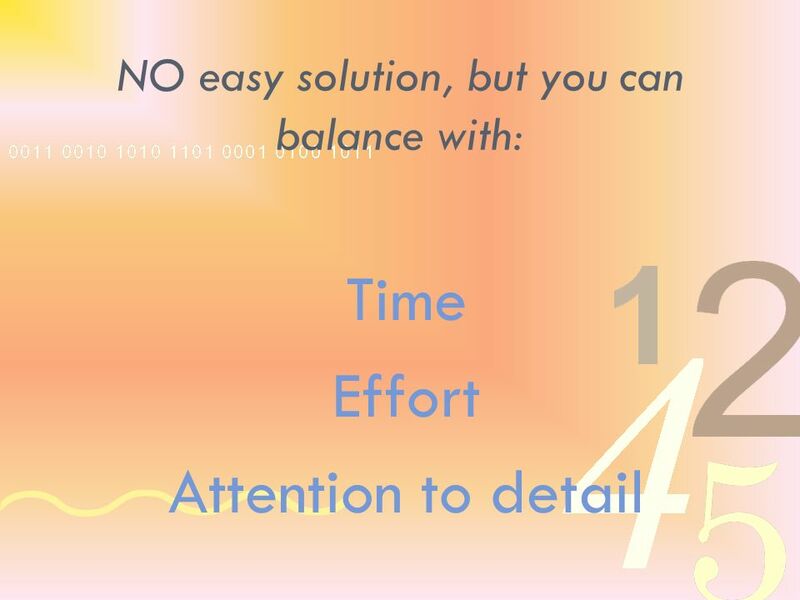 NO question is stupid. Please keep questions relevant to the group as a whole. 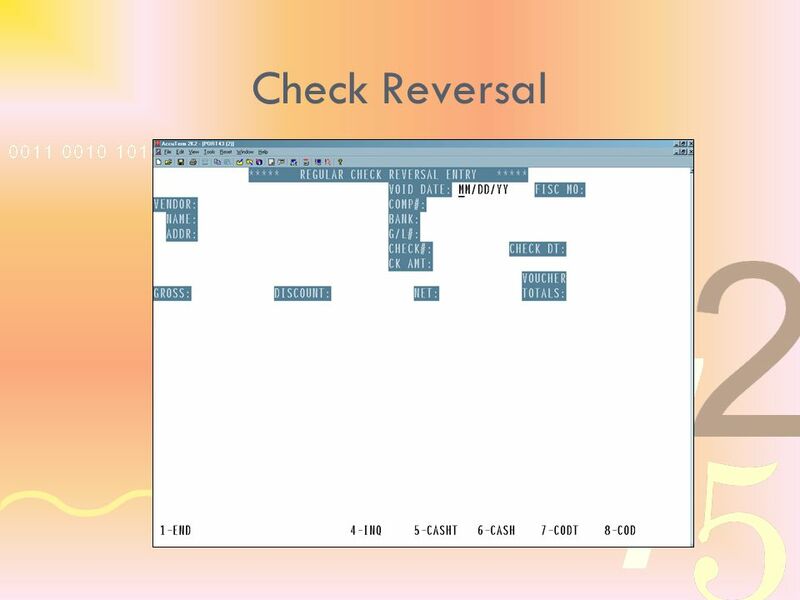 Can it be done versus Should it be done? 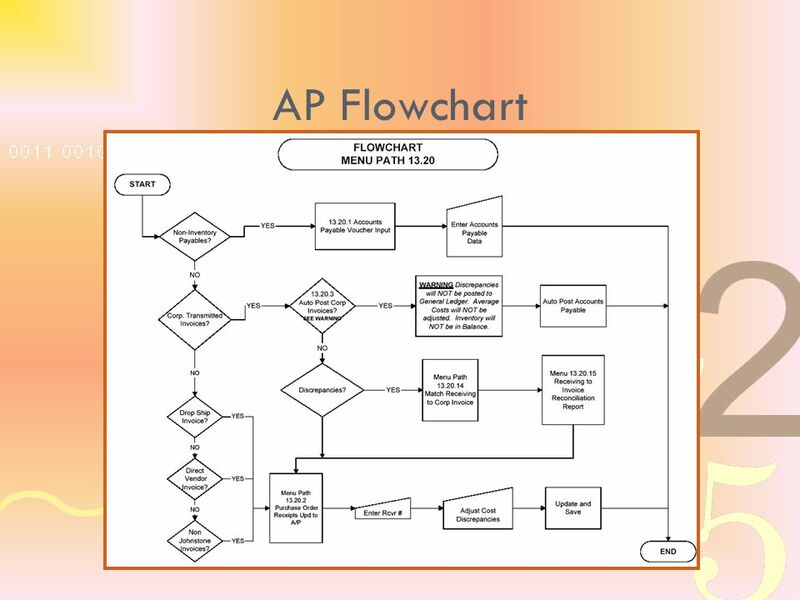 MY way isnt the ONLY way. 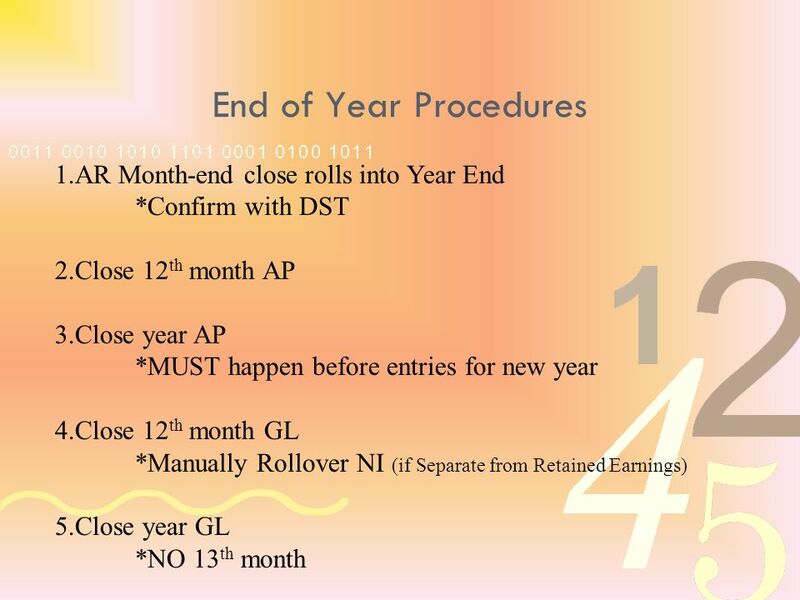 20 13.20.2 Benefits… Lessen likelihood of double paying bills Easy reconciliation of PO to vendor bill PAPERLESS AP!!! 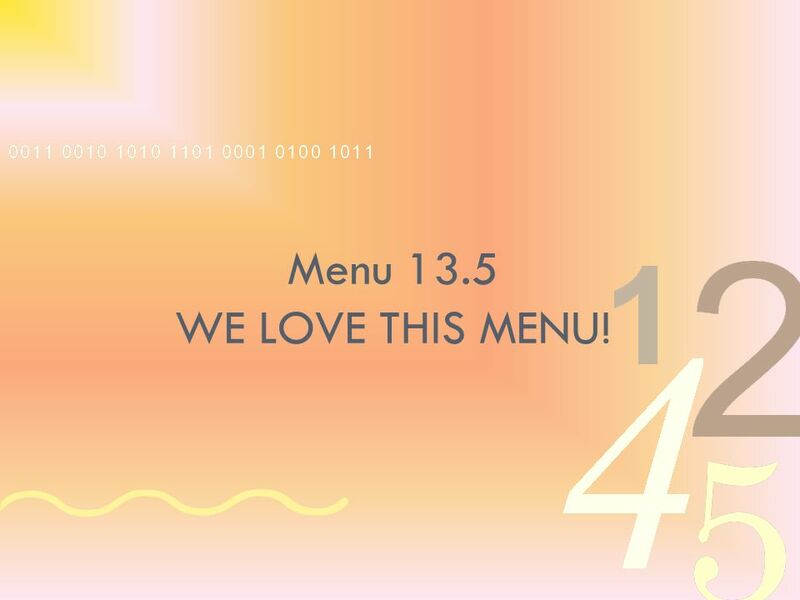 40 Menu 13.5 WE LOVE THIS MENU! 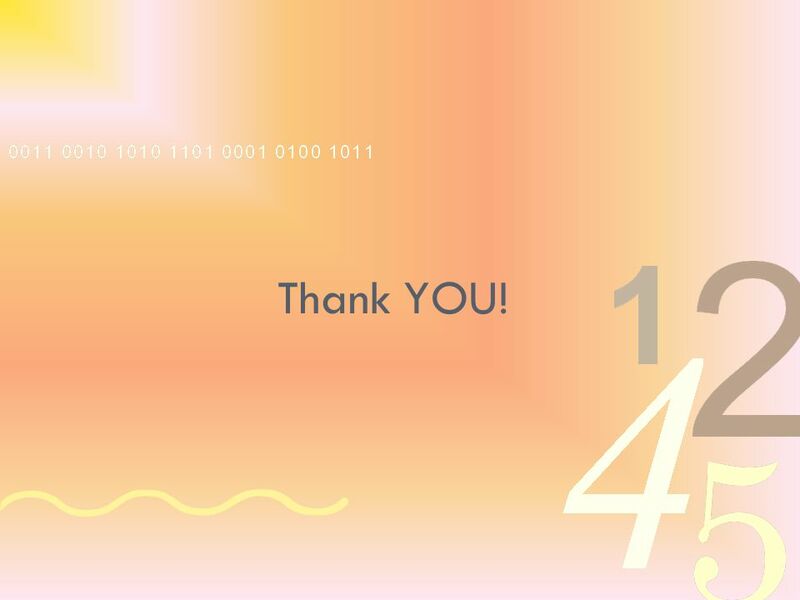 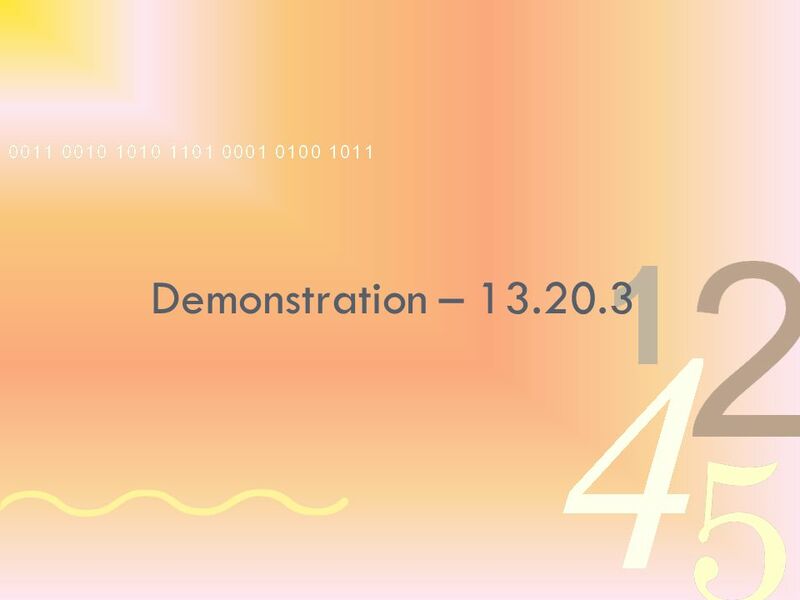 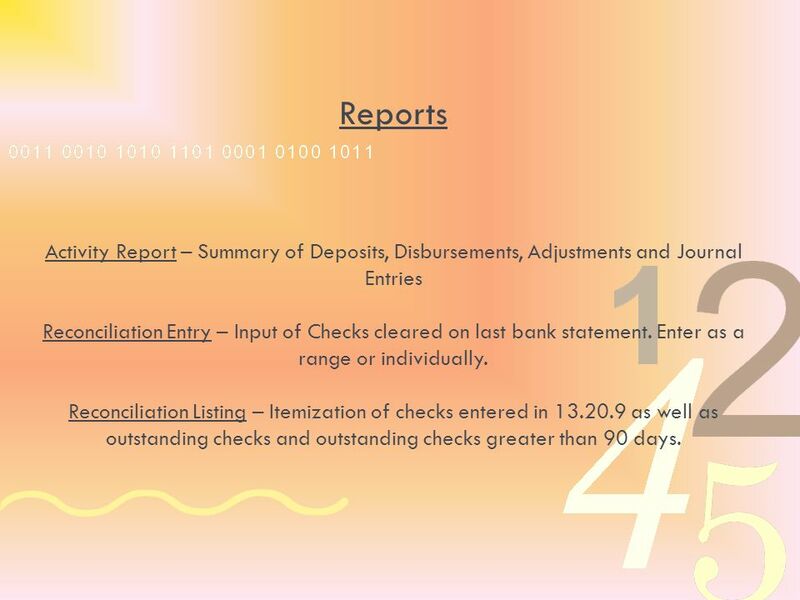 43 Reports Activity Report – Summary of Deposits, Disbursements, Adjustments and Journal Entries Reconciliation Entry – Input of Checks cleared on last bank statement. 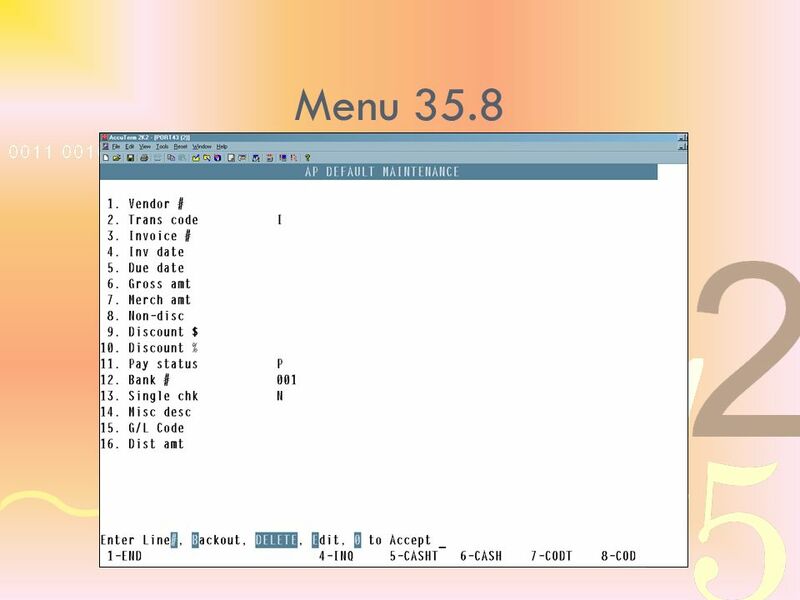 Enter as a range or individually. Reconciliation Listing – Itemization of checks entered in 13.20.9 as well as outstanding checks and outstanding checks greater than 90 days. 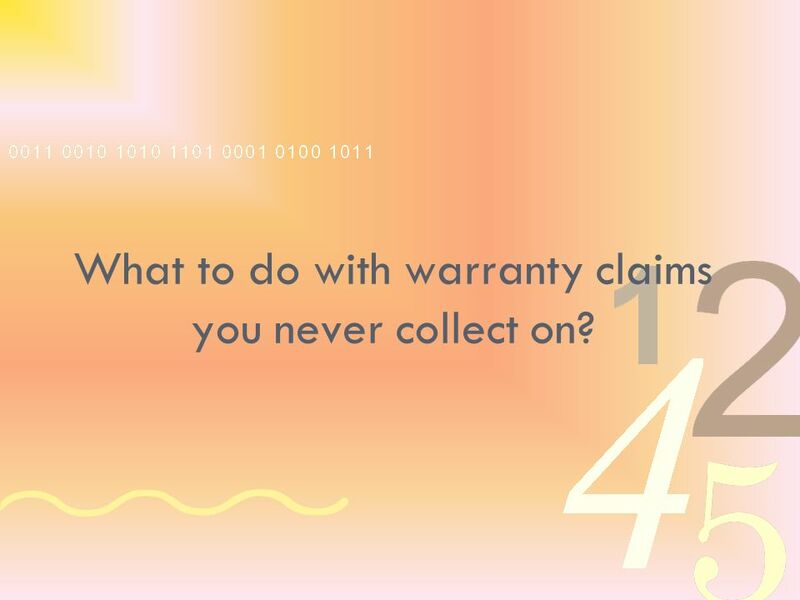 57 What to do with warranty claims you never collect on? 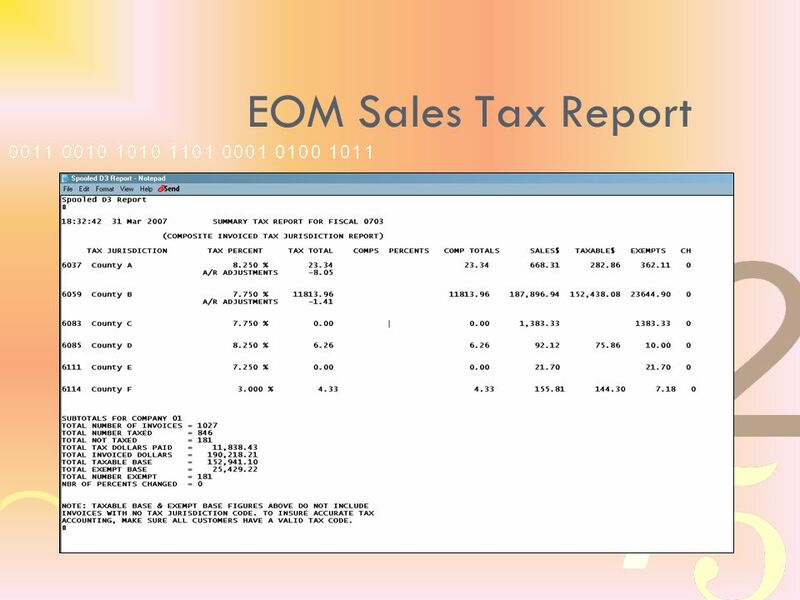 59 EOM Sales Tax Report Will reflect AR adjustments (m4.1.2) or AR write-offs (m4.1.1) Will report under the applicable Tax Jurisdiction. 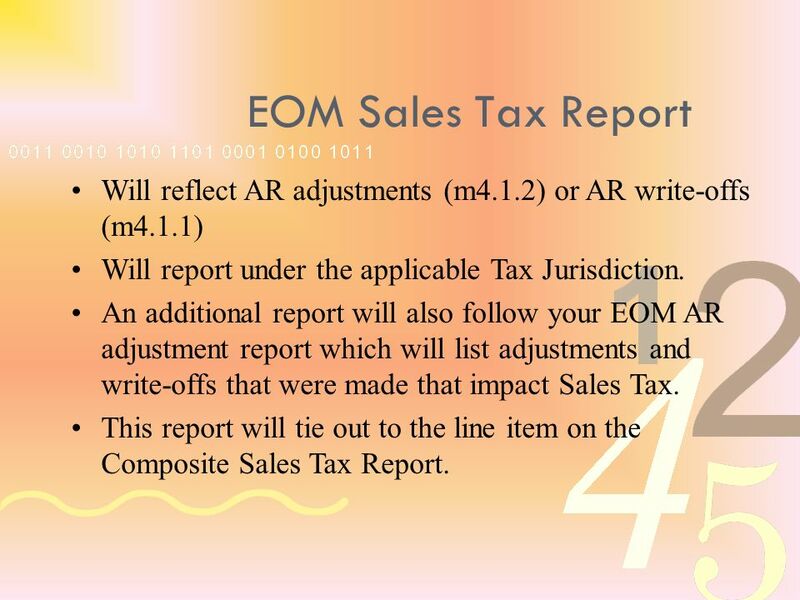 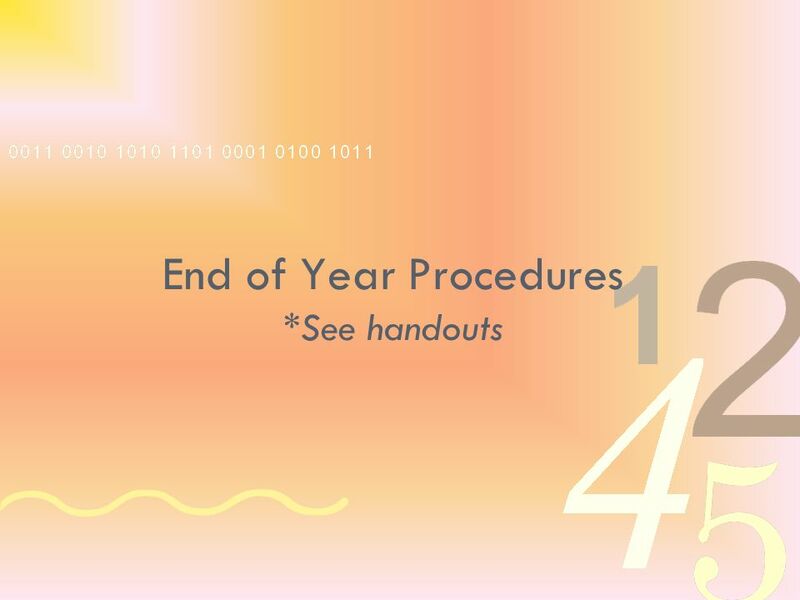 An additional report will also follow your EOM AR adjustment report which will list adjustments and write-offs that were made that impact Sales Tax. This report will tie out to the line item on the Composite Sales Tax Report. 63 Potential Problems: 1) Product has been received but not yet vouchered into the Accounts Payable system - Inventory value is updated at receiving time (i.e. 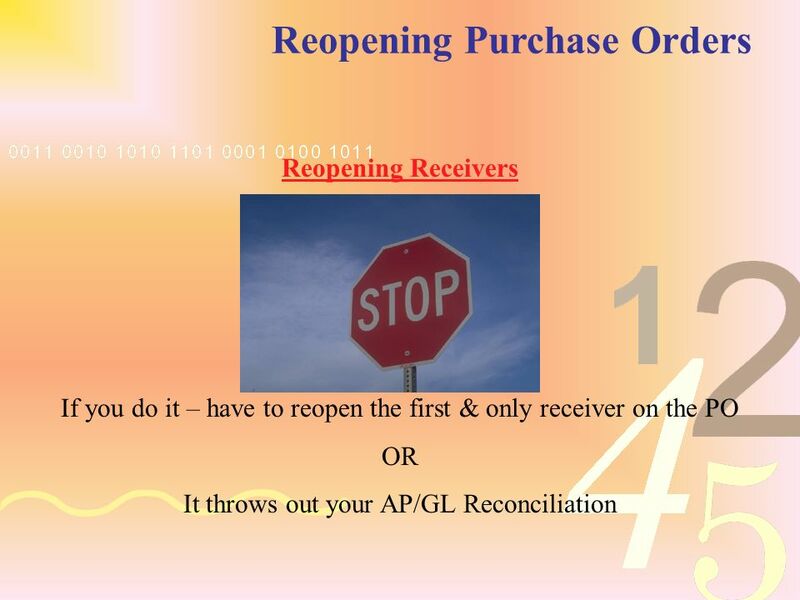 as soon as the on-hand increases due to a PO receipt). 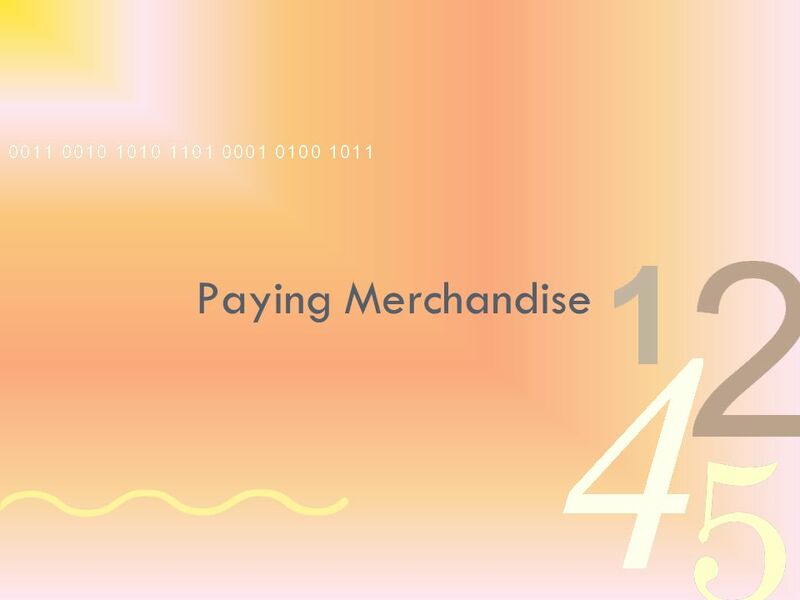 However, the G/L Inventory is not updated until the vendor invoice has been vouchered and the Inventory G/L account debited for the amount of the merchandise received. 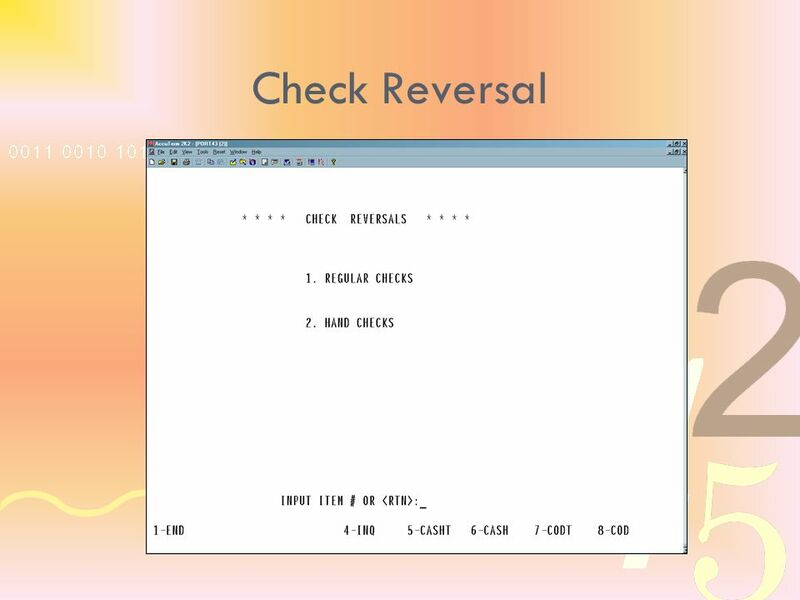 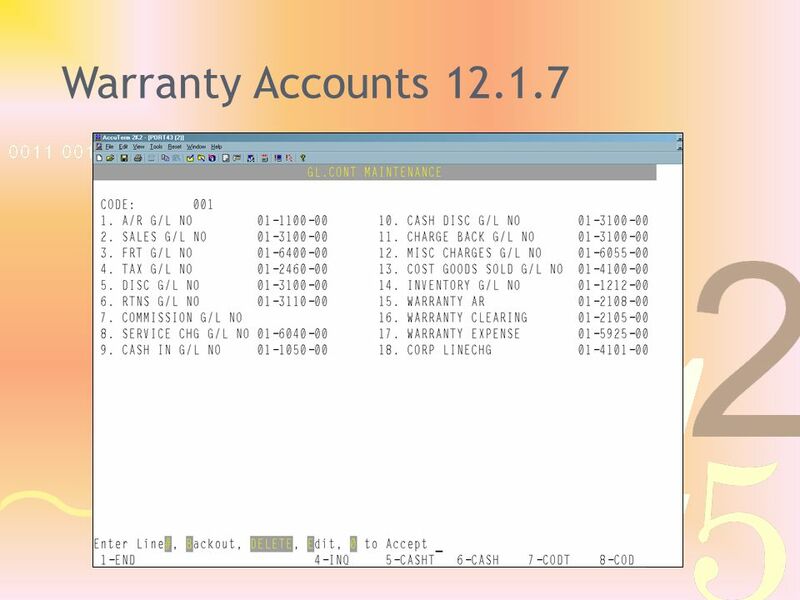 2) Inventory adjustments have not been properly entered into the General Ledger via a Journal Entry - The Daily Inventory Transaction Audit Report that runs with each Day End lists all inventory adjustments that have been made for the day. These adjustments directly affect the product on-hand quantity and consequently the inventory value. 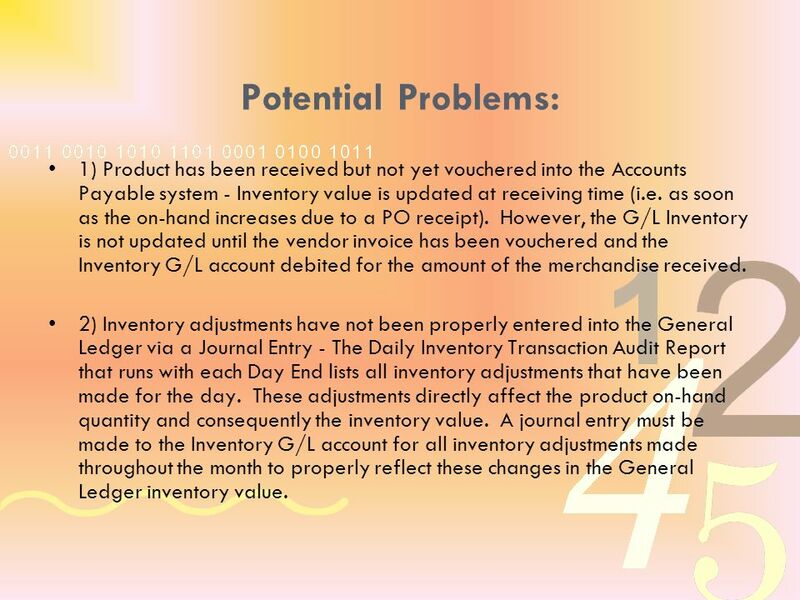 A journal entry must be made to the Inventory G/L account for all inventory adjustments made throughout the month to properly reflect these changes in the General Ledger inventory value. 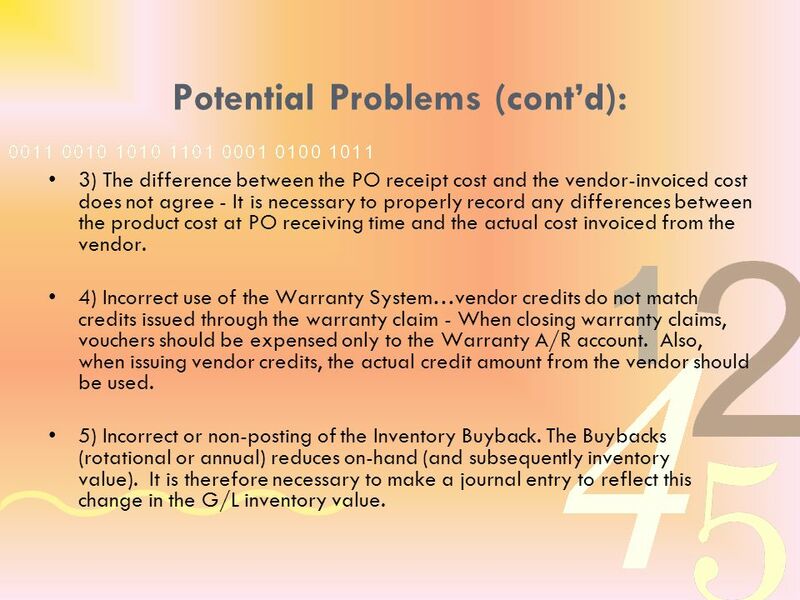 64 Potential Problems (contd): 3) The difference between the PO receipt cost and the vendor-invoiced cost does not agree - It is necessary to properly record any differences between the product cost at PO receiving time and the actual cost invoiced from the vendor. 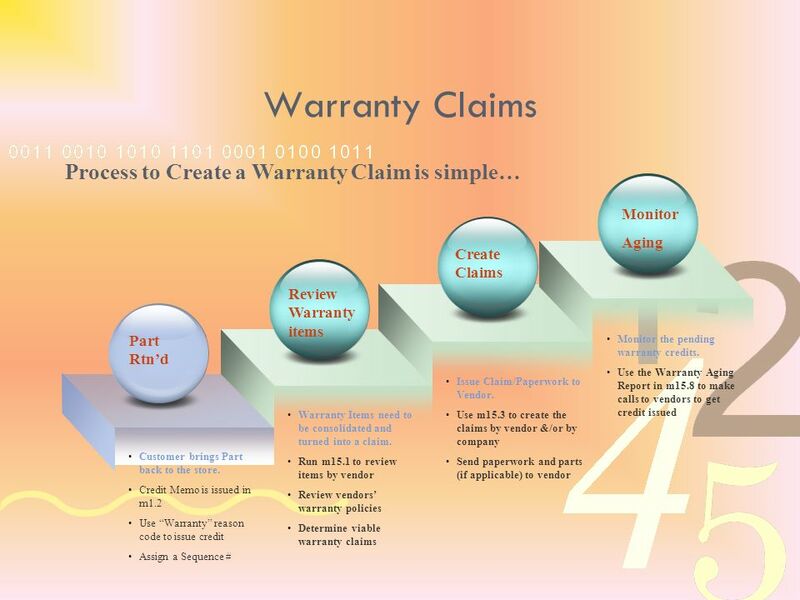 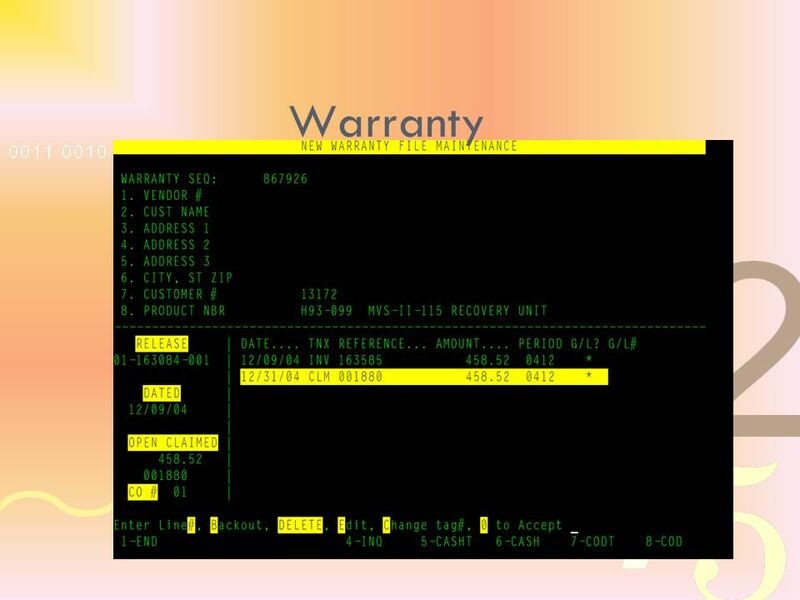 4) Incorrect use of the Warranty System…vendor credits do not match credits issued through the warranty claim - When closing warranty claims, vouchers should be expensed only to the Warranty A/R account. 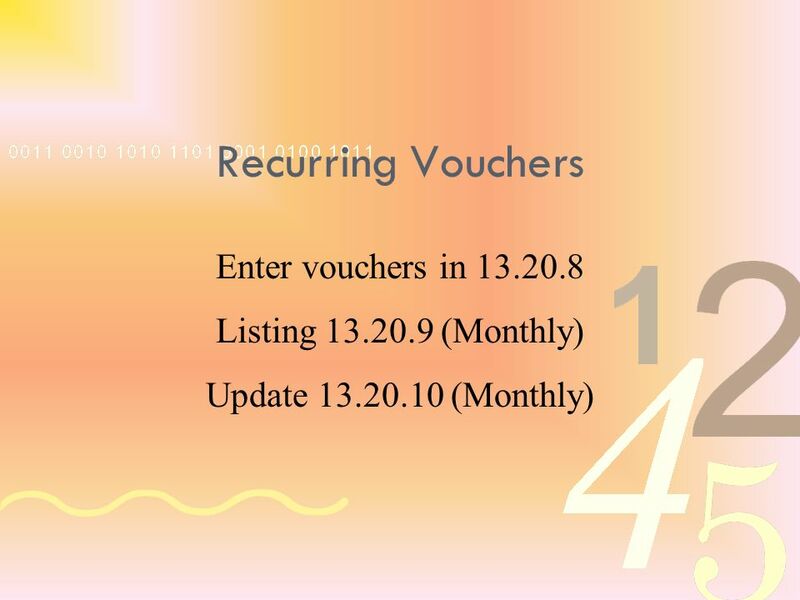 Also, when issuing vendor credits, the actual credit amount from the vendor should be used. 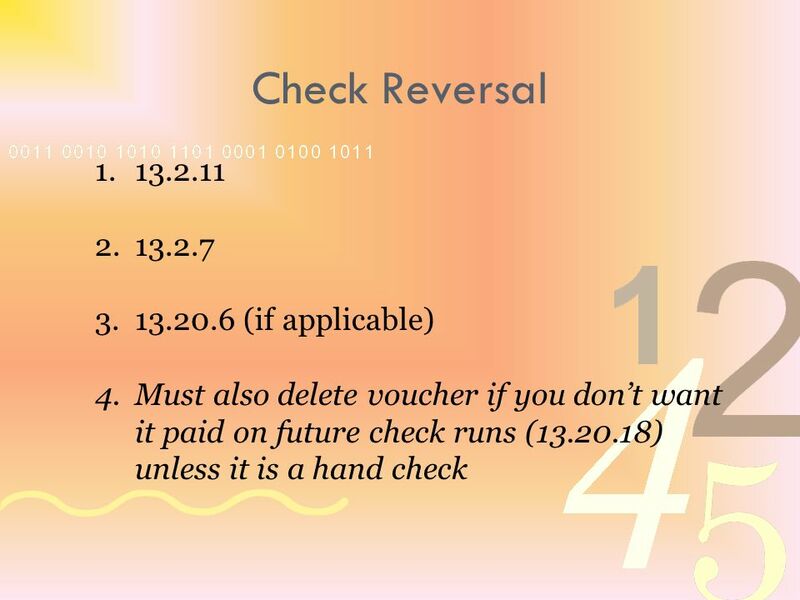 5) Incorrect or non-posting of the Inventory Buyback. The Buybacks (rotational or annual) reduces on-hand (and subsequently inventory value). 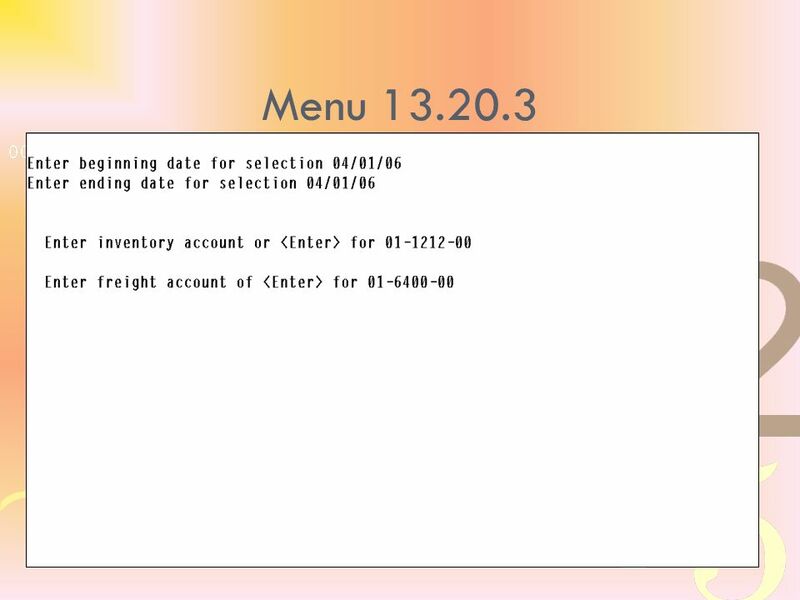 It is therefore necessary to make a journal entry to reflect this change in the G/L inventory value. 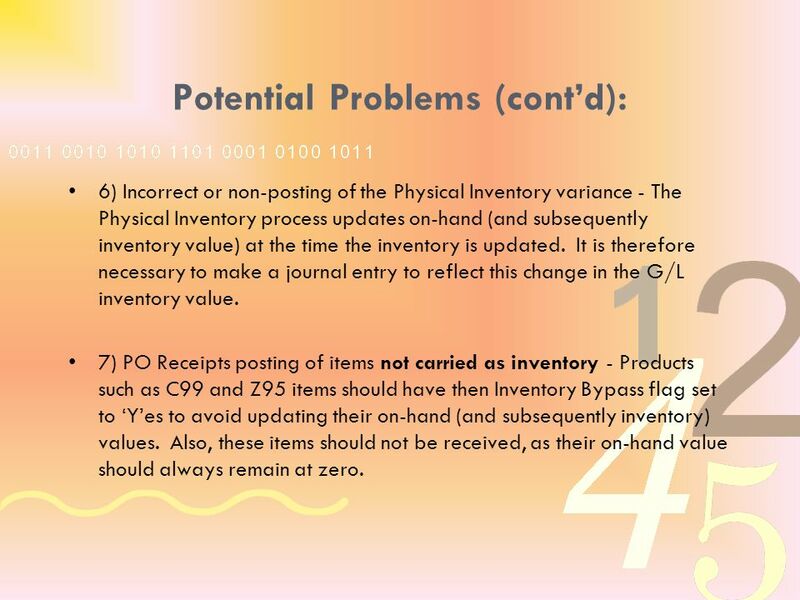 65 Potential Problems (contd): 6) Incorrect or non-posting of the Physical Inventory variance - The Physical Inventory process updates on-hand (and subsequently inventory value) at the time the inventory is updated. 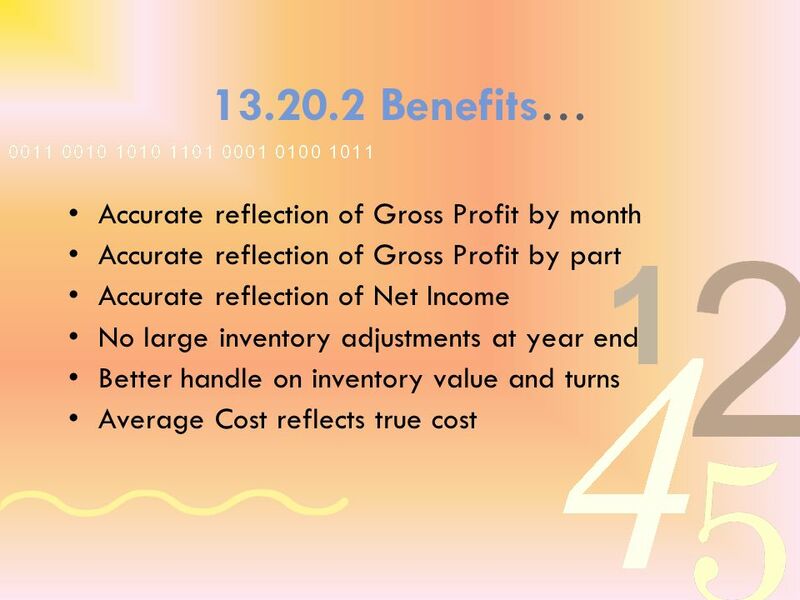 It is therefore necessary to make a journal entry to reflect this change in the G/L inventory value. 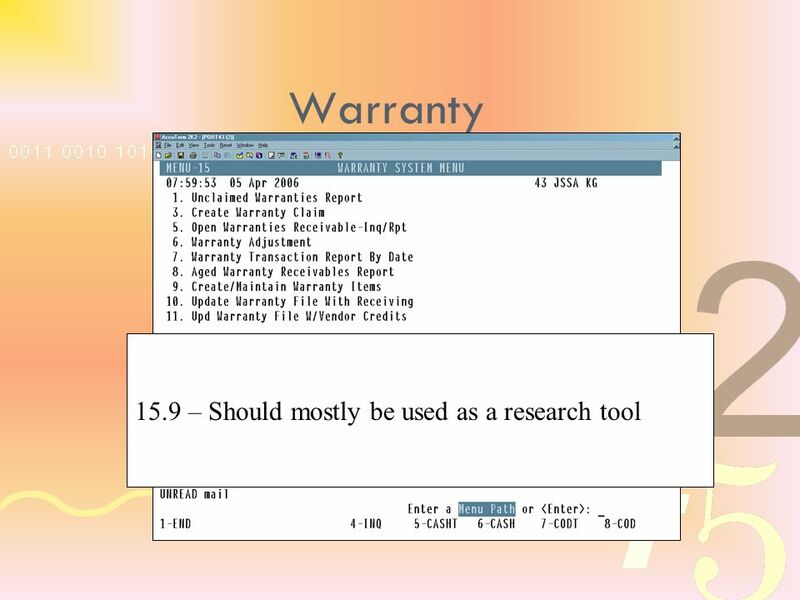 7) PO Receipts posting of items not carried as inventory - Products such as C99 and Z95 items should have then Inventory Bypass flag set to Yes to avoid updating their on-hand (and subsequently inventory) values. 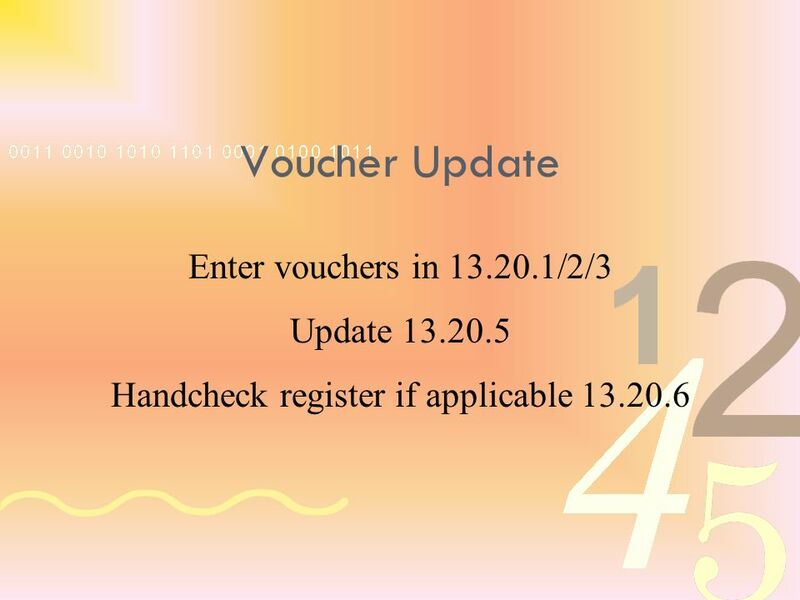 Also, these items should not be received, as their on-hand value should always remain at zero. 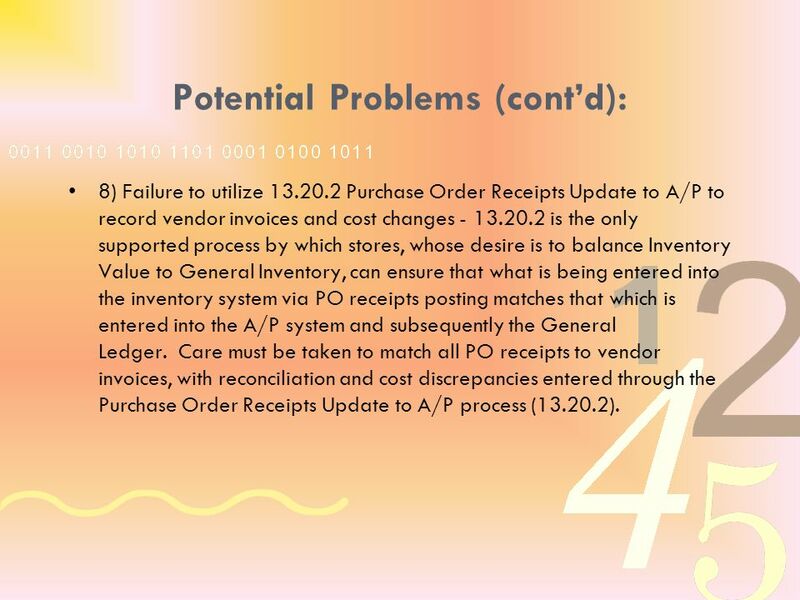 66 Potential Problems (contd): 8) Failure to utilize 13.20.2 Purchase Order Receipts Update to A/P to record vendor invoices and cost changes - 13.20.2 is the only supported process by which stores, whose desire is to balance Inventory Value to General Inventory, can ensure that what is being entered into the inventory system via PO receipts posting matches that which is entered into the A/P system and subsequently the General Ledger. 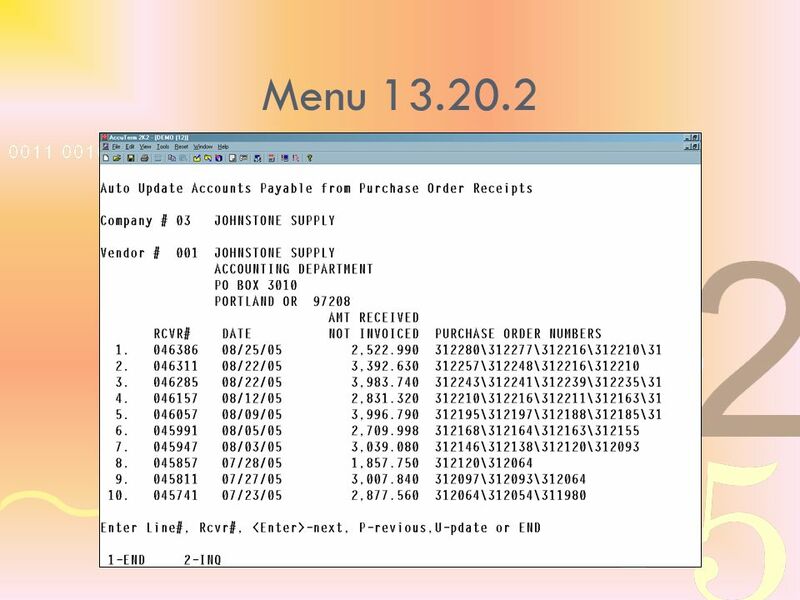 Care must be taken to match all PO receipts to vendor invoices, with reconciliation and cost discrepancies entered through the Purchase Order Receipts Update to A/P process (13.20.2). 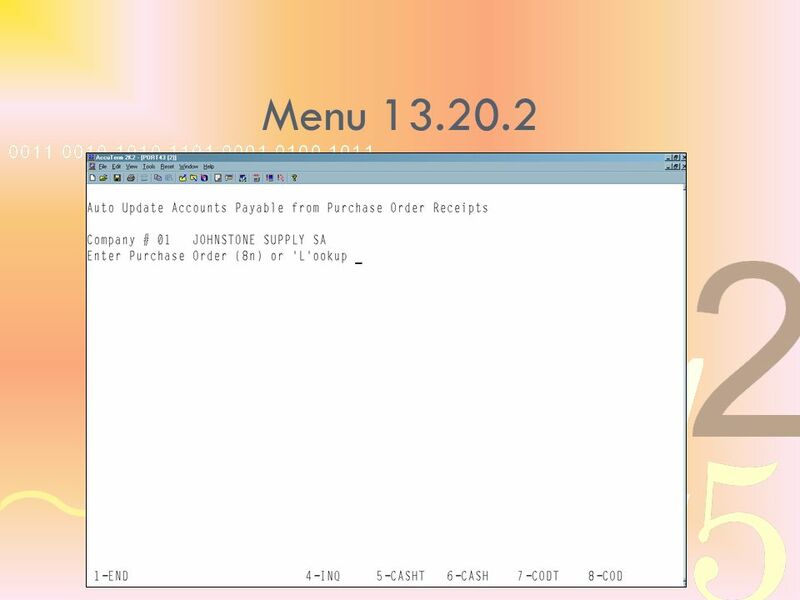 Download ppt "Accounts Payable Indianapolis, Indiana April 2008." 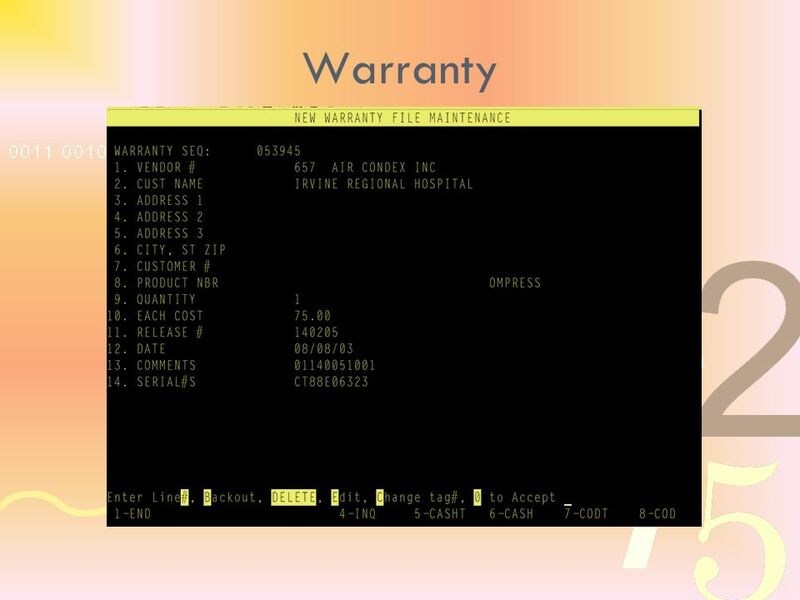 FINANCIAL MANAGEMENT SYSTEM Balance sheet Profit and loss Sales Claims/Warranty Stock Payroll Purchases Assets Cash Taxation Borrowings Risk DisclosuresManagement. 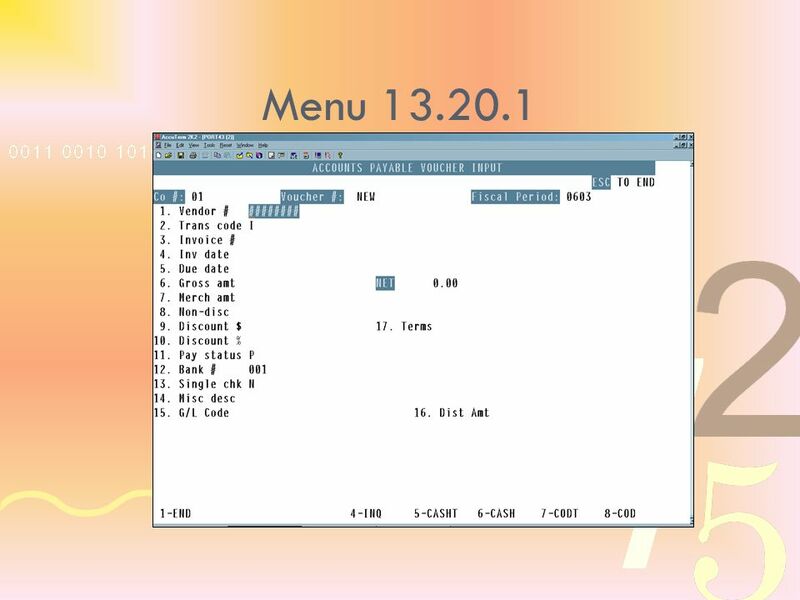 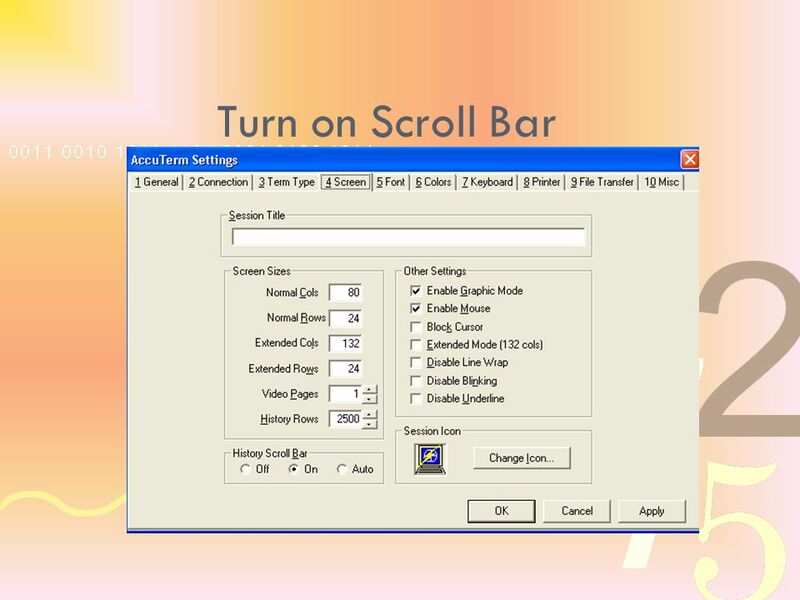 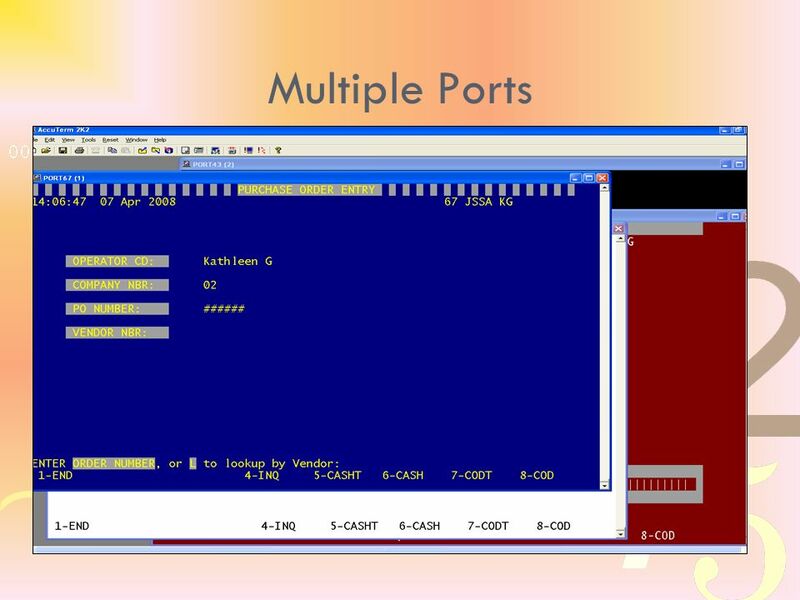 1 FTD Mercury Accounting Module. 2 4 Basic Concepts What kind of data is transferred\exported to Quickbooks. 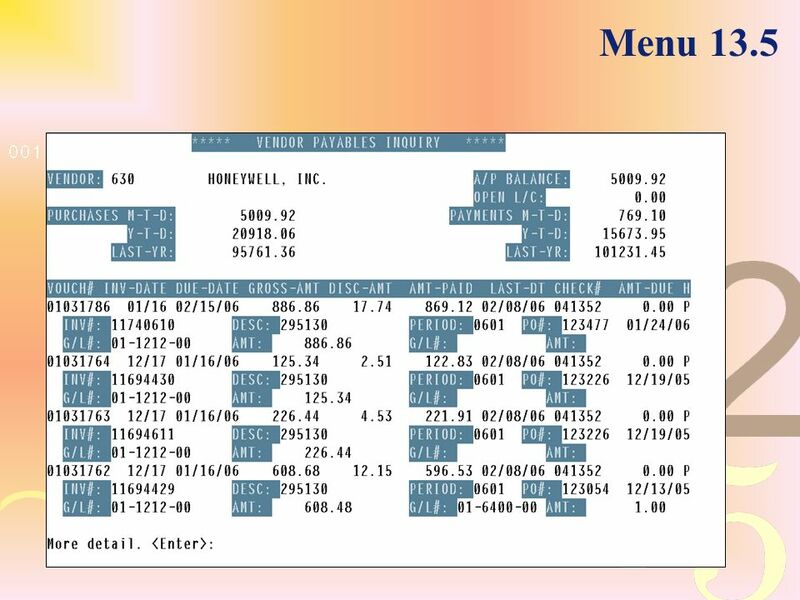 How FTD Mercury exports sales data to Quickbooks. An in-depth look at QuickBooks Multi-Currency functionality. 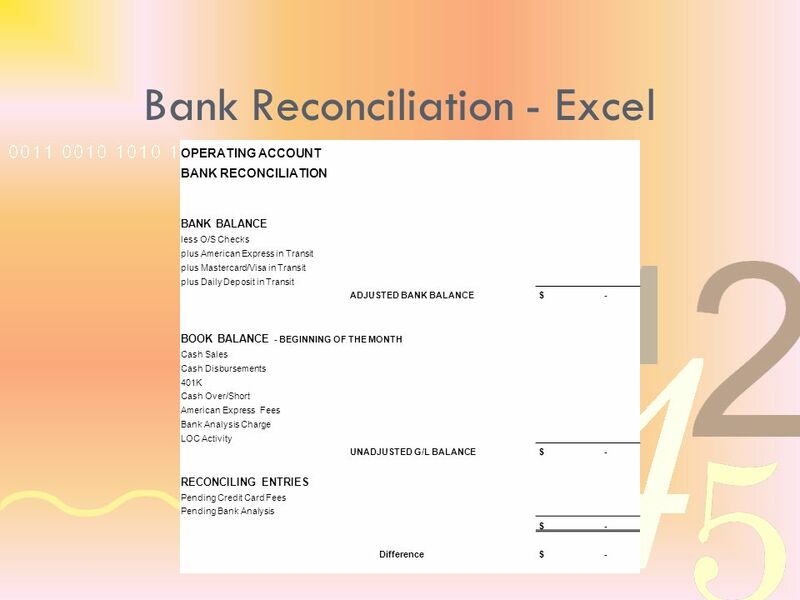 Accounts Payable & General Ledger Kathleen Graw. 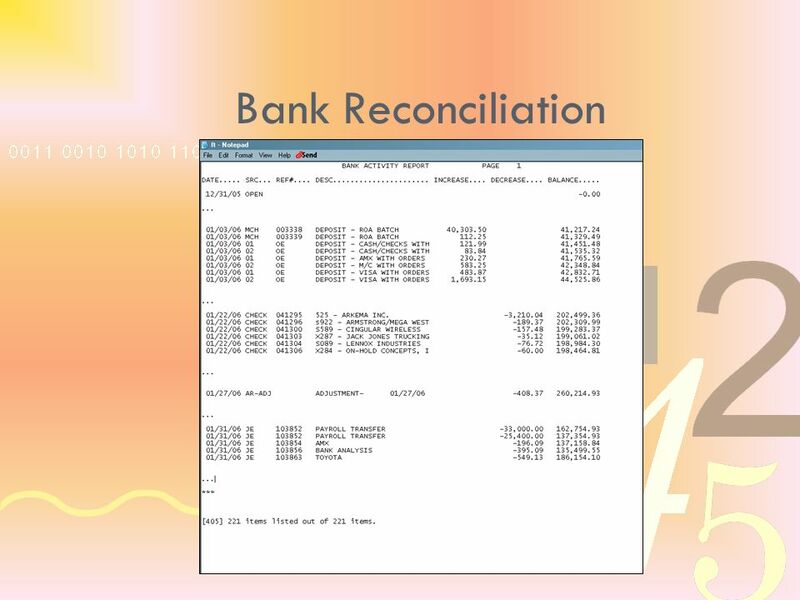 Accounts Payable & General Ledger2. 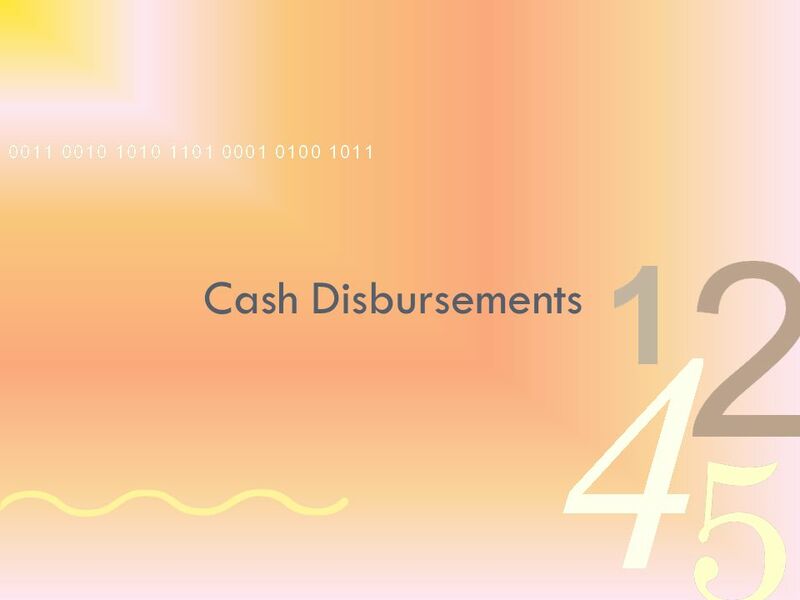 © The McGraw-Hill Companies, Inc., 2001 Irwin/McGraw-Hill Chapter 6 Reporting and Interpreting Sales Revenue, Receivables, and Cash. 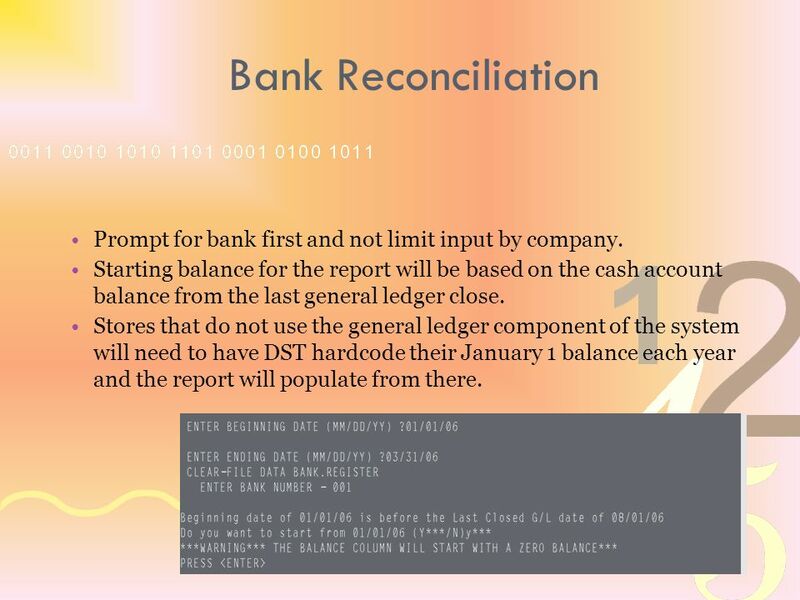 Accounting Fundamentals Dr. Yan Xiong Department of Accountancy CSU Sacramento The lecture notes are primarily based on Reimers (2003). 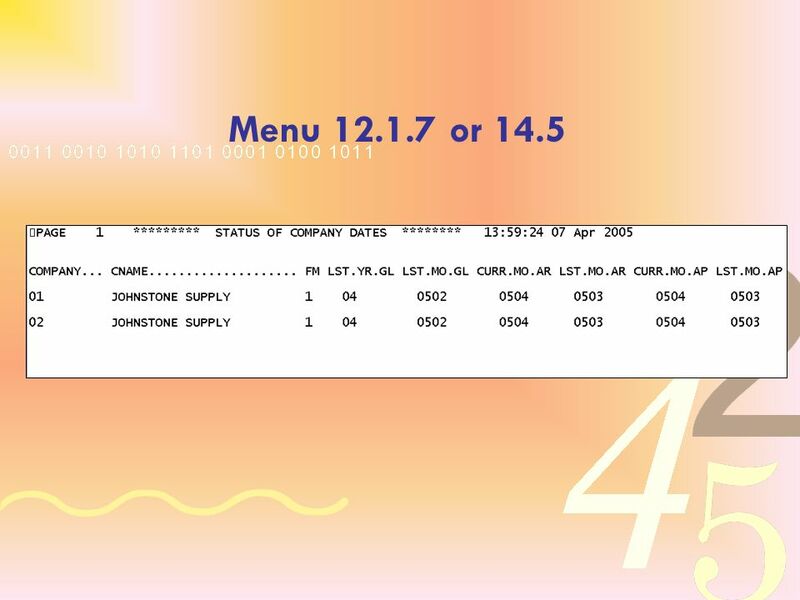 7/11/03. Copyright © 2008 by The McGraw-Hill Companies, Inc. All rights reserved. 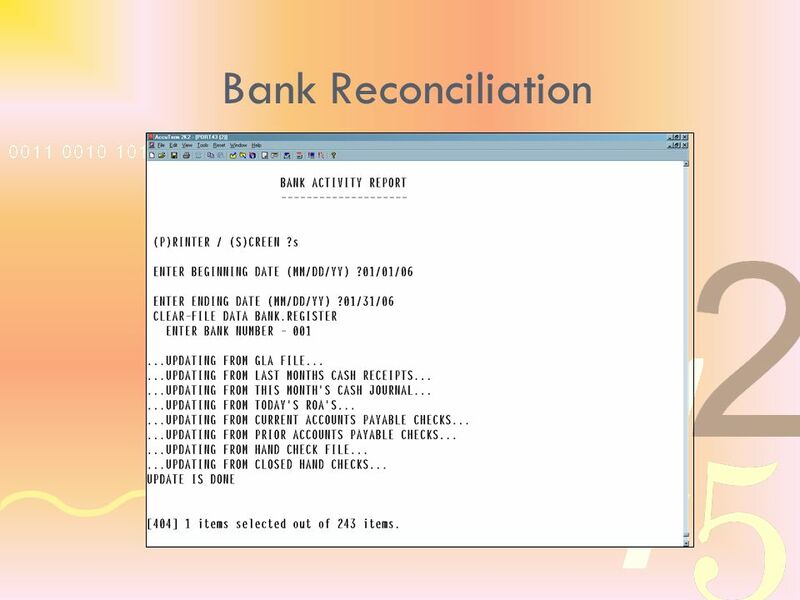 McGraw-Hill/Irwin Chapter 6 Internal Control and Financial Reporting for Cash. Credit Card Processing Overview. 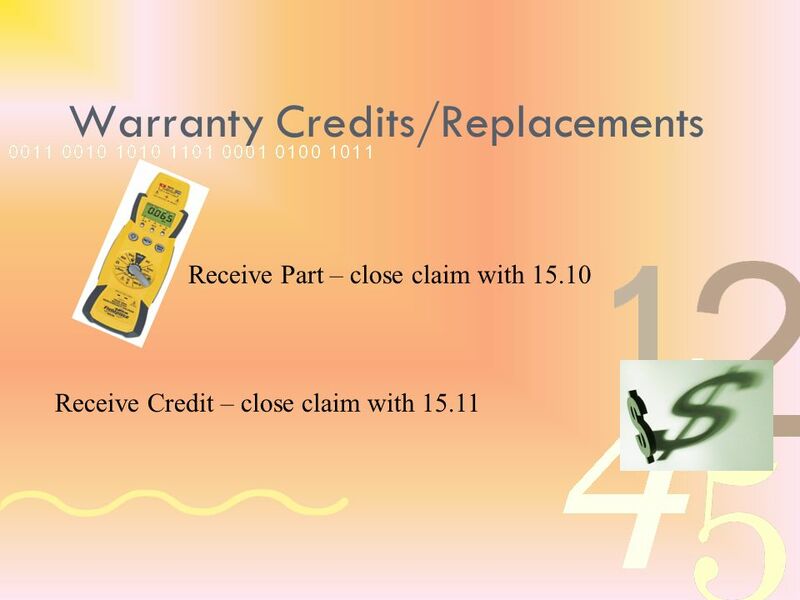 Credit Card Setup Overview  Call The Business Link (973-473-6599) Decide on Processor/Clearing House Software. 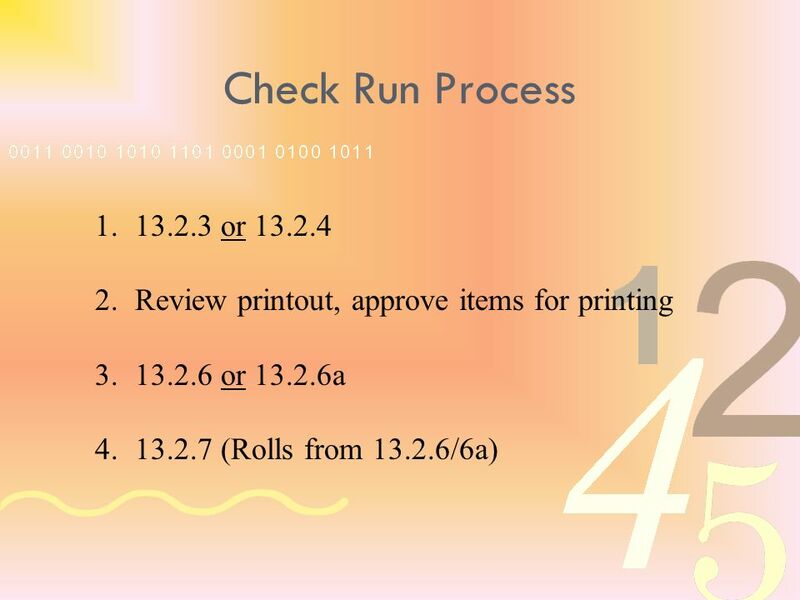 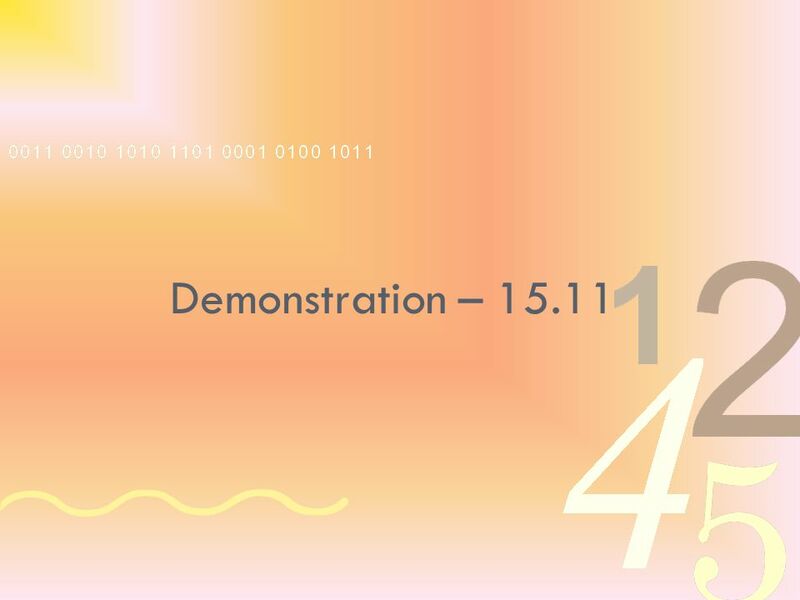 Eprocess.